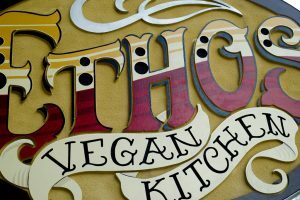 Awesome and local Ethos Vegan Kitchen is helping out our local group of the Sierra Club!!! Saturday March 23rd, from 9am to 11pm, 5% of the total sales for the day (excluding catering sales, gift certificate sales and sales tax collected) will be donated to our group — how great is that?!? Ethos is located at 601 S New York Ave, Winter Park, FL 32789. PLEASE come to this great, LOCAL establishment. Stay tuned for a formal meet time to socialize, but you may go at any point in the day.